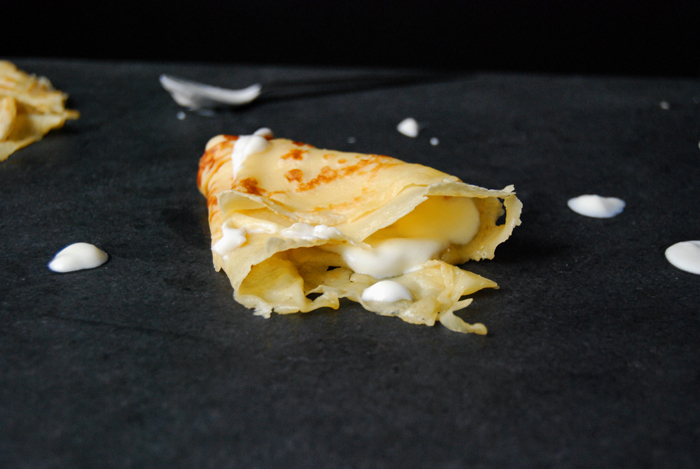 This is one of the best things you can do with a golden crêpes, fill it with sweet whipped sour cream! The cream is so simple that whenever I make it for my friends, no one manages to guess what’s in it. 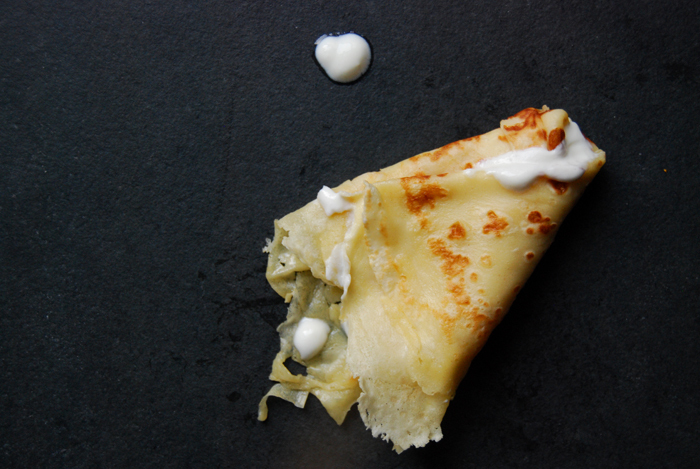 It’s definitely not much, just sour cream whipped with icing sugar but for whatever reason, it creates a unique taste between sweet and sour which is far more fine than you would imagine. 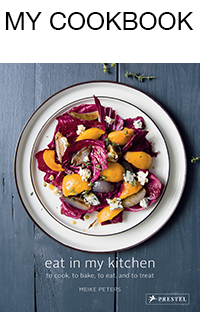 I learned about this recipe from my stepfather who lived in Paris for a few years. Uli adores this country, the food and lifestyle and he praises its cuisine almost as much as the one he grew up with, the traditional Swabian cooking. 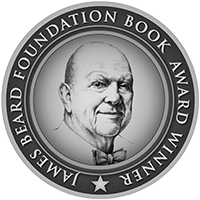 He’s a true gourmet, one of the most joyful and critical I know who loves his food and wine with such passion that he celebrates every meal. A dinner with him is a feast and even the smallest nibble for lunch turns into a special treat. It’s the way he talks about it, how he appreciates every bite, that it becomes more than just food, it’s a celebration of life. Uli brought a huge French influence into my family’s cooking, yesterday’s Coq au Vin, my Daube de Boef Provençale, the creamy Vichyssoise or my mother’s Tarte Tatin, I’m sure I would have cooked these recipes at one point in my life anyway, but his notes and comments to the recipes, his authentic knowledge and the stories about his life in France which he has told us since we were children turn these dishes into something very special (and delicious!). I still call him when my cooking turns French for some tips and advice. 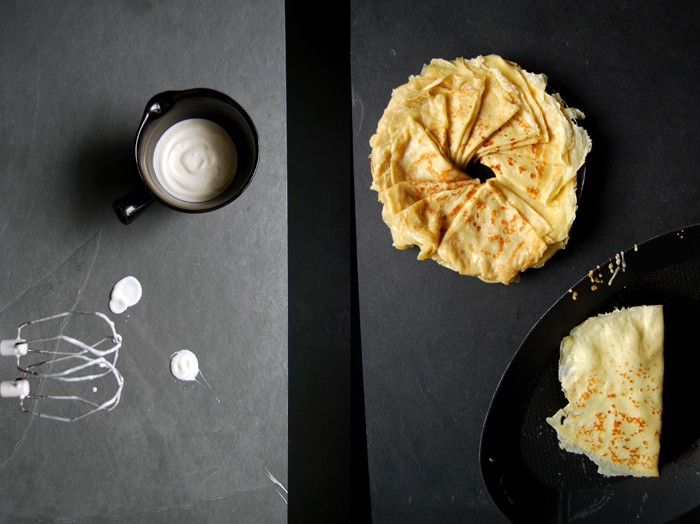 I remember that we often used to make these crêpes as a spontaneous dessert after a long dinner when we all didn’t feel like finishing our gathering at table but rather listening to more stories while eating these wonderfully luscious crêpe rolls. Uli always used to remind us in the kitchen that we have to make them thinner, like in France! Today, I love to make them for a late breakfast on the weekend, with a Café au Lait at hand and some Jacques Brel in the background. Although he was Belgian he’s still one of my favourite singers when it comes to French chansons! He makes me feel like I’m in Paris! Whisk the sour cream and icing sugar to a light and fluffy cream and sweeten to taste. 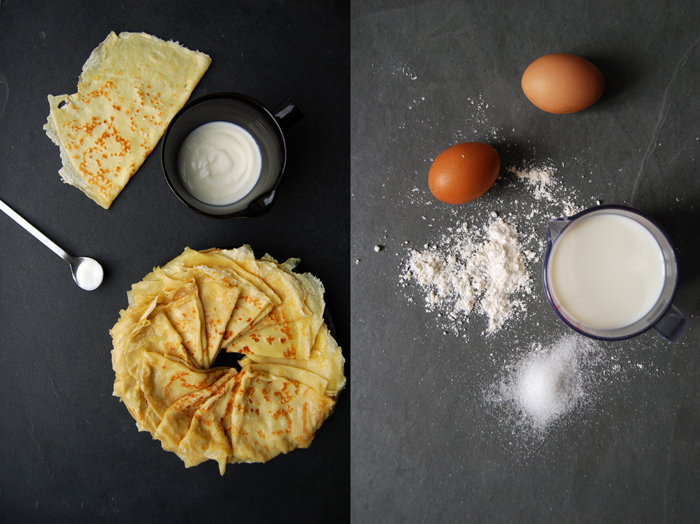 Mix the ingredients for the crêpes to a smooth dough (with an electric mixer) and let it sit for 15 minutes. In a non-stick pan, heat a teaspoon of butter. Pour in a ladle of the dough, holding the pan in your hand and turning it so that the dough spreads evenly and very thinly. 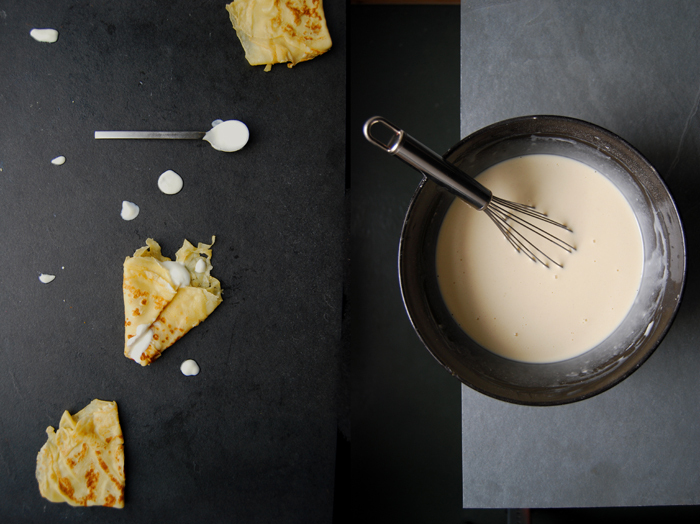 The temperature should be on medium-high as the crêpes won’t need more than 1 minute on each side once the heat is set right. I always use the first two crêpes to find the right setting. 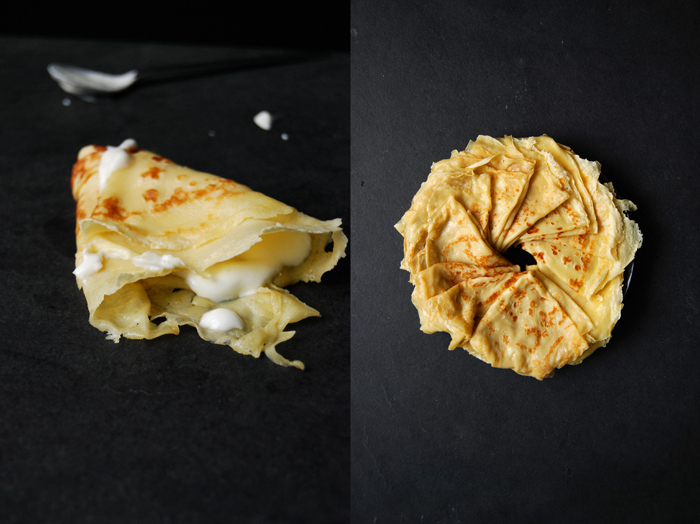 When the crêpe is golden on both sides, fold it twice and keep it warm in the oven at 80°C / 175°F. Always heat a teaspoon of butter before you add new dough to the pan. When the last batch is done serve with the sweet sour cream.